Are you looking for some healthy foods to work into your repertoire this year—foods that are totally healthy and actually taste delicious? Well, I have some picks for you! I love these all equally and they are all becoming regular “participants” in my healthy lifestyle! My first pick is Lifeway Kefir. Kefir is a fermented beverage that tastes like a yogurt drink only it is way more loaded with probiotics. Lifeway Kefir has 12 live and active cultures. These probiotics may help regulate digestion and boost immunity. Lifeway Kefir may help build your healthy gut bacteria, which has long-lasting positive effects like improving your metabolism. It contains bone-building calcium also! It’s high in protein, which is great for your muscles. I recommend kefir for breakfast! My second food pick is what I reach for when I’m having a snack attack—PopCorners! They’re like guilt-free chips! They are air-popped and so delicious! They come in sweet and spicy flavors, but my favorite flavor is the “Salt of the Earth” flavor. These have three simple ingredients: yellow corn, sunflower oil, and sea salt. Each serving only has 110 calories—plus PopCorners are gluten-free and GMO-free. I suggest keeping this healthy snack at your desk, a much better option than visiting the vending machine! My third pick may take you aback a little bit. It’s cottage cheese—wait keep reading. Say goodbye to boring cottage cheese—there’s a new cottage cheese on the block and it’s Muuna Cottage Cheese. Muuna cottage cheese comes in handy single-serving cups. High in protein and so rich and creamy, Muuna cottage cheese has real pieces of orchard fruit in their variety of flavors like raspberry, strawberry, peach, and pineapple to name a few. My fourth pick is another snack I recommend keeping at your desk—Setton Farm pistachios! Pistachios are heart healthy and provide your body with amazing nutrition. Filled with antioxidants, they’re also a great source of vitamin B6, protein, and fiber. Setton Farms has offers far more than the standard salty pistachios. One of my favorite choices they offer is their Salt & Pepper flavored pistachios. When I am craving something sweet, I happily reach for their dark-chocolate covered pistachios—they’re amazing! My fifth pick is a beverage. Maybe like me, you are looking for something more than water to consume? I have added Sunsweet Amazin Prune Juice into my repertoire. This delicious juice is an excellent way to help maintain good digestive health and give you the fiber that you need. Their juice also comes in a light variety with a mere 100 calories and 8 grams of sugar per serving. My last pick isn’t technically a food, but it is a supplement I recommend Just Thrive probiotics, not to replace healthy food, but to supplement a healthy diet—hence why they are called supplements! Probiotics keep your digestive tract functioning optimally and also help your immune system and reduce the inflammation that is a precursor to almost every disease. Just Thrive probiotics have a powerfully potent and effective strain that is patented—Bacillus Indicus HU36®. 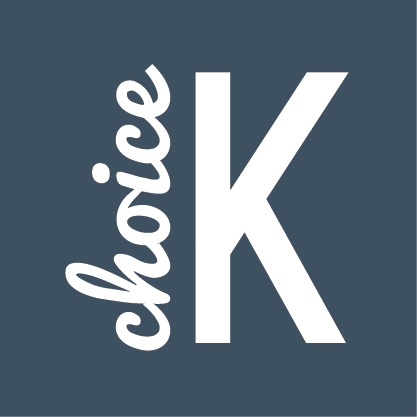 For recipes and more information on Kelly’s Choice, check us out at www.kellyschoice.org. Happy New Year! How have your first couple weeks of 2018 been besides cold?! Like many of you I’m sure, I have several clients who are working on weight-loss goals. A lot of people set the bar too high. Just because your friend wants to lose 50 pounds doesn’t mean you should. If you are 45 and want to achieve the weight you were when you were 24 (when you starved yourself and exercised two hours a day to fit into your wedding dress) is not realistic either. Consulting a professional like a dietitian from Kelly’s Choice can help you determine what a realistic goal for yours is. Deprivation can lead to depression—nobody wants to experience that. So savor what you love. If you are a chocoaholic like me, allow yourself a couple of pieces of dark chocolate—it’s high in antioxidants. Take tiny bites and truly delve into the flavor! If you slip on following your healthy habits, that’s okay! As cliché as it sounds, tomorrow is a new day. Nobody is perfect. I slip from time to time—everybody does. We are only human. Smile at yourself and ease back into those healthy habits. What are your favorite indulgences? A divine glass of wine and a delicious slice of pepperoni pizza are two of mine. And guess what, I have not abandoned them. I will allow myself to indulge occasionally. You should too! It’s the healthy thing to do. Remember what I said about deprivation above—it will not help you, it will depress you. So please celebrate YOU from time to time with your favorite indulgence! Stay tuned for my next Weighing in on Weight Loss Blog—I will weigh in on healthy fats!